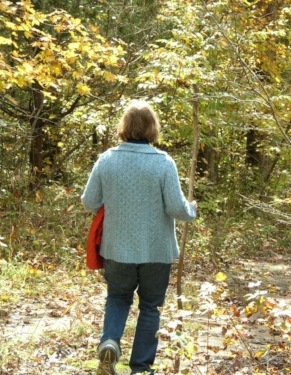 As age consumes me, slows my stride, and tips me over, I began to gather walking sticks. These sticks have requirements: they must be tall, sturdy, and willing to go anywhere with me. A good hand grip is a must! The gravel roads, hiking in the mountains, beach combing, and just getting around our property can be very difficult for me without a trusty walking stick. I have one near every door in our cabin, always one in my car, and in the garden and leaning against the fence of the pasture in back. Shelly, my daughter, gave me a beautiful black stick with a silver handle. It is absolutely stunning. However, it does not like to go on the dusty, rocky trails, or through the muddy streams with me. It cannot even tolerate being called a stick. 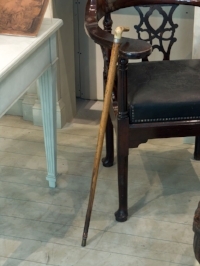 It is a cane, loves to go to the movies, church and concerts. My walking sticks also have a life of their own. One just likes to go outside for a walk on the road and waits by the front door. Another is chosen to climb the mountain path, and still another along the river path, through the mud. They wait by the back door for me. My mom was a rock hound and always found a walking stick and carried it home to her collection. I have great memories of walking with her. Maybe I'll have a chance to take my daughters on a long walk with a good stick. When the legs get weaker, and the heart beats slower, I recommend find a good strong walking stick. It will steady you while you continue to explore God's wonderful planet, Earth. In the Bible, a good tall stick was called a 'staff.' Moses and Jesus carried a 'staff' and walked the countryside teaching peace and love to mankind. Next time, when you are out and about, keep your eyes open for a good stick, staff or cane. Pick it up, smooth off the bark, and invite it to go with on a walk-about. Call me and we could go walking together. Renee Daines grew up in a small town on the edge of the great desert connecting Utah and Nevada. Her parents were desert rock hounds and grandparents were sheep herders. Renee owned the "The Flower Box," the first full-service florist in Park City, taught music in her home for years, was a public school teacher for 33 years and fully retired at age 79. She has four children, 17 grandchildren and 9 great-grandchildren. 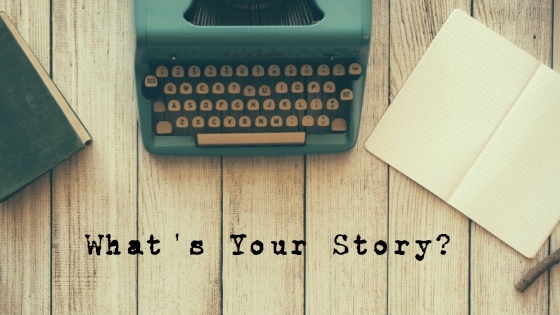 Sign up for new stories, news of upcoming classes and writing prompts!